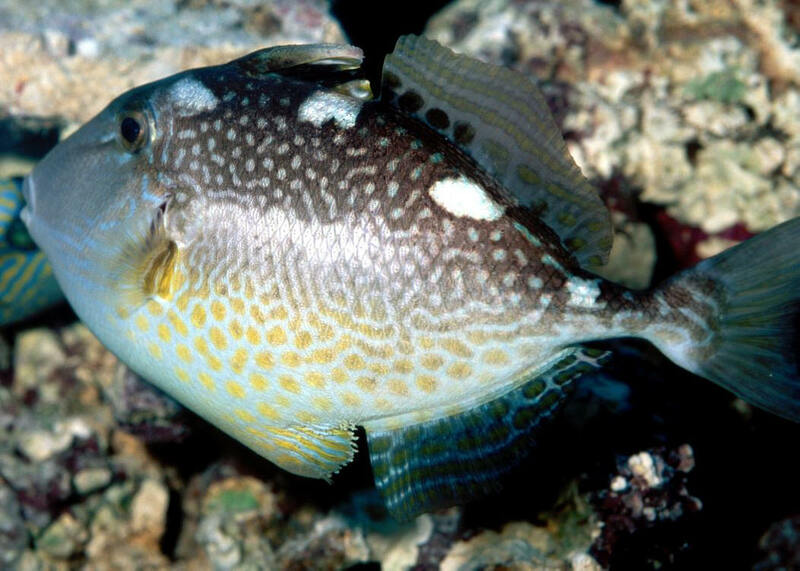 Abalistes stellatus (Bloch & Schneider 1801), the Starry Triggerfish, is offered most often out of the Indian Ocean, but it is even better out of the Red Sea. To a length of two feet overall. Monotypic genus. Aq. pic. 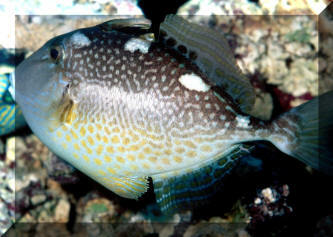 Balistapus undulatus (Park 1797), the Undulated or Orange-Lined Triggerfish is both loved and vilified in our hobby. On the one hand it's a gorgeous species that is very hardy. 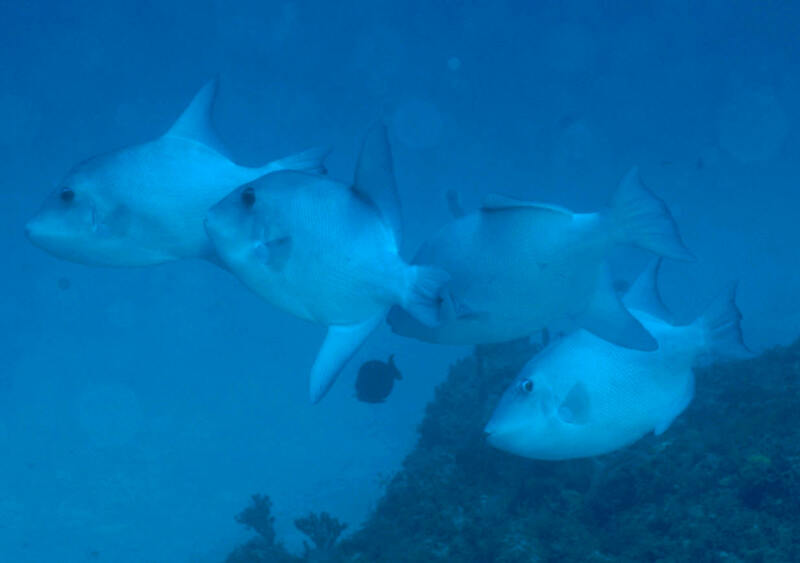 On the other it can be a pure terror towards its tank-mates, eating or "sampling" them all to death. Fr. Polynesia pic. 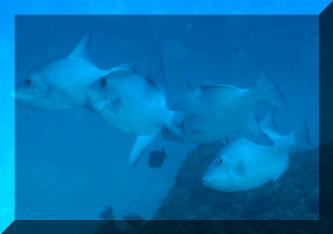 Balistes capriscus (nee carolinensis) Gmelin 1789, the Grey Triggerfish. East and West coasts of the Atlantic. To two feet in length. Feeds on benthic invertebrates; mollusks, crabs.